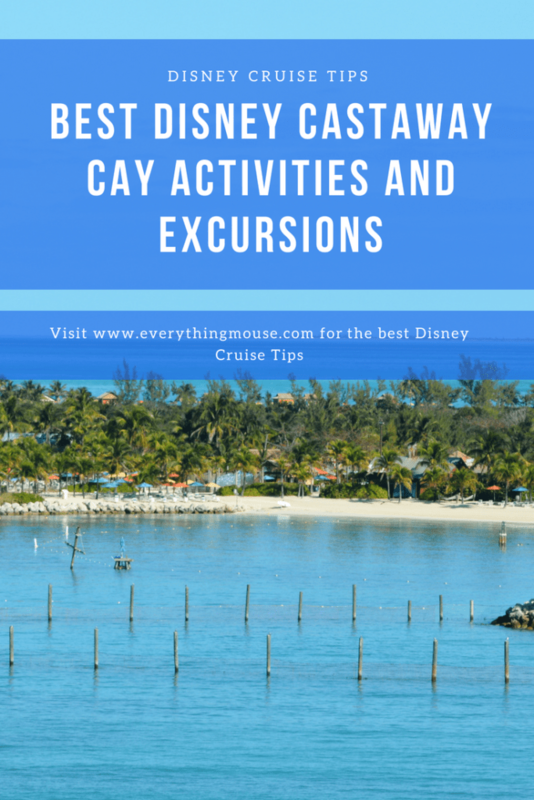 Which Disney Castaway Cay Excursions and Activities are the best? Now you have booked your Disney cruise you are probably very excited to be sailing to Disney’s private island Castaway Cay. However, which are the best Disney Castaway Cay excursions? 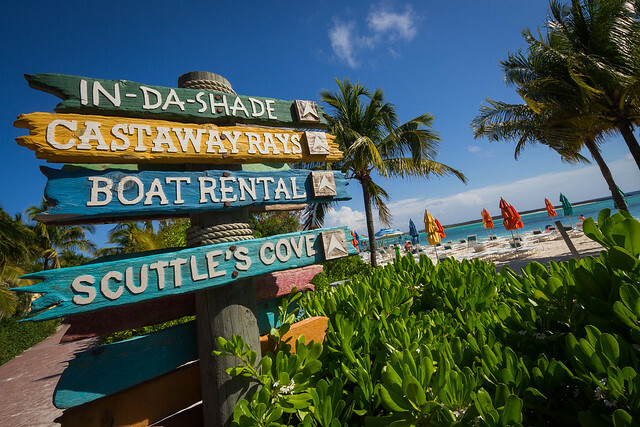 Which activities do you want to do on Disney’s Castaway Cay? 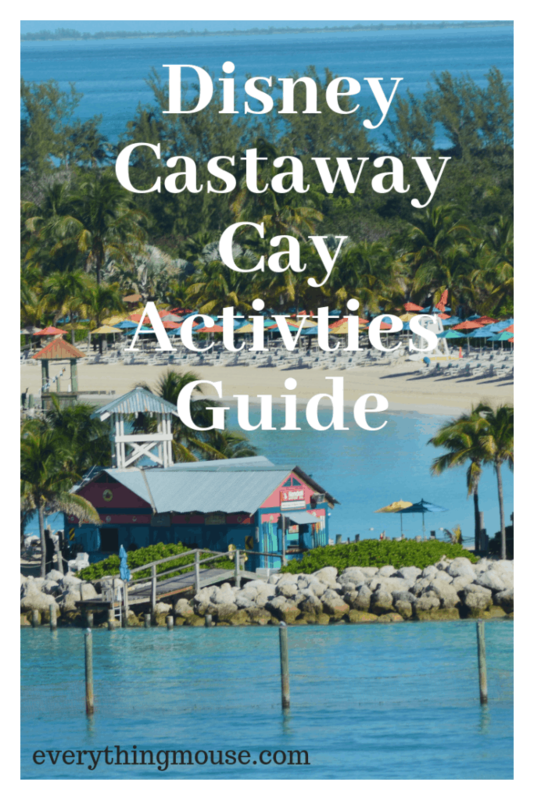 Here is our guide to all the Disney Castaway Cay Activities and Excursions. There are two main types of activities on Castaway Cay. Those you pay extra for and those which are included. It is very possible to go to Disney’s Castaway Cay and not spent any extra money on activities. 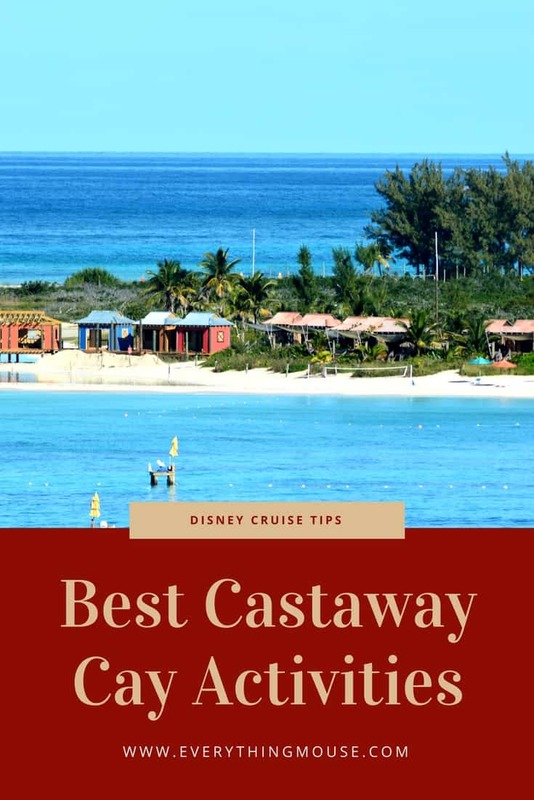 However, there are some special Disney Castaway Cay excursions and activities which you may want to consider which cost extra. 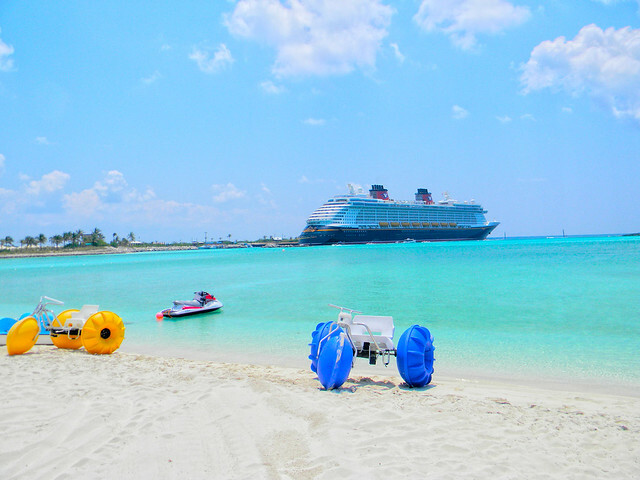 The most obvious thing to do on Disney’s Castaway Cay is to enjoy one of the beaches. There are plenty of sun loungers and umbrellas for everyone. There are two main beaches on Disney’s Castaway Cay. The most popular beach is the Castaway Cay Family Beach. This is the first beach that you will see when you either take the tram or walk from the ship. The island is small so you will not have very far to walk. If you prefer, there is a tram. Usually the wait for the tram is not too long. The Disney’s Castaway Cay Family Beach is for everyone. You aren’t exactly going to be on your own out there, but the island is large enough so that you will not feel as though you are over crowded. If you are sailing on the Disney Wonder or the Magic, these ships are much smaller than the Fantasy and Dream. Therefore you are going to have a lot fewer people on the beach to share with. We don’t yet know how many guests Disney’s new ships will have, but it is likely from what we do know, that the number of guests will be similar to the Dream and the Fantasy. Castaway Cay Serenity Bay is the adult beach. Usually this is quieter. Of course you don’t have children on the beach as this is strictly for the over 18s. However, we have been on the beach sometimes when it seems to be just as busy as the Family Beach. It really does depend upon the composition of your particular Disney cruise. Some just don’t have as many kids on board. The water is mostly shallow and ideal for simply relaxing and enjoying gentle swimming. I am 5′ 4″ and can usually stand up in the water near to shore on the Family Beach. There are plenty of lifeguards and there is a very clearly designated area where you are not supposed to go past. It feels very safe.
. Particularly for the kids. At the edge of the Family Beach is a part of the beach which is reserved for Concierge Guests only. This of course is the best beach area as there are very few guests on it, particularly if you are sailing on one of the Disney classic ships the Wonder or Magic. 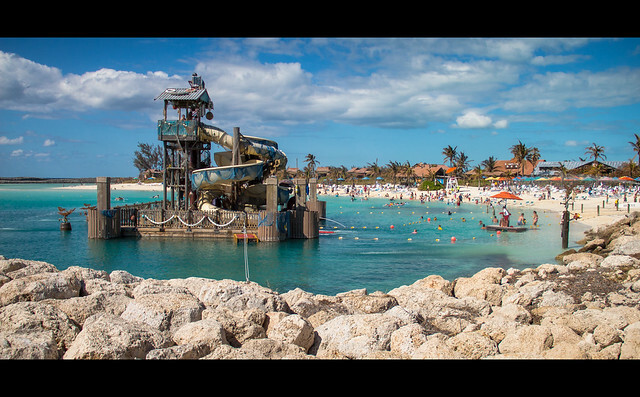 A popular attraction at the Family Beach on Castaway Cay is Pelican Plunge. This is a 2,400 floating platform out a short distance from the shore in a sectioned off area of the ocean. There are two water slides to enjoy. Lines do form, so if you want to go to Pelican Plunge it is best to do it as soon as you arrive on Castaway Cay. You can enjoy all the beaches on Disney Castaway Cay for free. However, if you want to rent a float or inner tube this is a lot of fun. Castaway Cay float or inner tube rental costs $11 for the whole day. There really isn’t a need to rent one for everyone if you want to cut down on costs. We usually get one between two of us. The inner tube is the most popular. It isn’t exactly dignified getting on and off this! However, once you master the art of just throwing yourself onto it you will be fine! The blue float is ok but we all prefer the inner tube. If you change your mind about which one you want, you can always swap it for the other kind. If you are feeling energetic the Disney Castaway Cay 5K is one of the most popular activities. The Castaway Cay 5K is free to enter and you even get a medal when you finish! The emphasis is on fun rather than the race for the finish. Anyone can participate provided they are at least 10 years old. It is a lot of fun to take part in this informal Disney Castaway Cay 5K. You do need to register for the 5K. Just go to Guest Services on the ship and tell them that you want to take part. You will be told when and where to meet on the ship on the morning that you dock in Castaway Cay. The usual time is around 8.15. If you are taking part in the Castaway Cay 5K you will be among the first to get off the ship in the morning. You will all disembark at the same time as a group. A Cast Member will walk with you to the starting point. The Disney Castaway Cay 5K race really is meant to be fun. There are water stations along the route. Make sure that you take advantage of them and stay hydrated. Castaway Cay can get pretty hot, even at that time of the morning. The 5K really is one of the most popular of the Disney Castaway Cay Excursions and Activities. And it’s completely free! What’s not to like? You can rent a bicycle on Castaway Cay for $11 an hour. They really are pretty flexible with this hour limit though – no one is actually watching the clock to make you return the bike on time. There are a number of different size bikes to choose from. You can also rent a bike with a baby seat. All riders under the age of 18 have to wear a helmet. There are 1.5 miles of bike trails on Castaway Cay. All of the trails are paved and it is very easy getting around the island. It is a lot of fun to explore the places that you wouldn’t usually see. There are a couple of lookout towers along the way. It is the same track that the 5K uses. The sun can be pretty strong in Castaway Cay so always wear sunscreen. Also it may be better to have your bike ride early in the morning. It can get pretty hot! For the Hobie Kat you do need to have previous sailing experience. Snorkelling is very popular on Castaway Cay. You can bring your own equipment. However, snorkel equipment is available to rent on Castaway Cay for $32 for adults and $16 for ages 5 to 9. This is the price for all day snorkel rental. It includes snorkel, mask, fins and snorkel vest. If you are looking for a thrilling banana boat ride this is available for $38. You do have to be at least 8 years old to participate. This glass bottom boat voyage is available for all ages. The cost is $43 for adults and $24 for ages 5 to 9. The voyage takes about an hour. The Castaway Getaway Package lets you bundle some rentals so that you save money. This includes snorkel equipment, a float or tube rental and a bike rental. The cost is $43 for ages 10 and up. There is a discount for children aged 5 to 9 as the price is only $24. If you know you are going to need all 3 of these rentals it will save you money. However, you must book this on board the Disney ships as it is not available on Castaway Cay once you are there. This is a very popular excursion. It does get booked up so be sure to book online as soon as you can. There is a special Stingray area for this excursion. Guests learn about these fascinating creatures and then get the chance to spend some time in the water snorkelling with the. 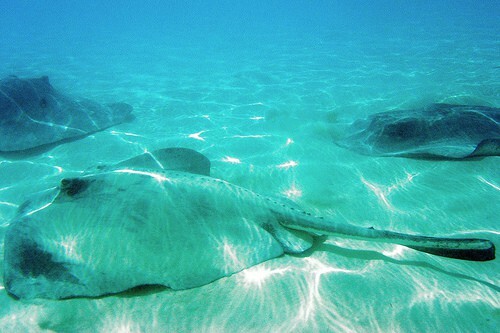 The Castaway Ray Stingray Adventure lasts about an hour and costs $52 for adults and $41 for children aged 5 to 9. You do have to be accompanied by an adult if you are under 17. There is a special excursion for teens available on Castaway Cay. Teens must be at least 14 to participate. This experience includes snorkeling, biking and a high speed boat ride. The excursion starts with snorkeling in the Snorkel Lagoon. Then you will ride around the island on a bike. For most teens the highlight of this Disney Castaway Cay excursion is the high-speed boat ride. The cost of this Castaway Cay activity is $50. This kayak and walking tour is only available to those aged 10 and up. The cost is $68 and the excursion lasts about 3 hours. The first part of the Castaway Cay excursion is the guided walk which takes around 45 minutes. Then you will board a double kayak to explore the tidal zones and mangroves around Disney’s private island. You finish your Disney Castaway Cay excursion with some time on a private beach. This 3 hour Castaway Cay activity costs $68 for ages 10 and up. If you want an adventurous Disney Castaway Cay excursion this could be the one for you. Guests start on a Zodiac Rigid Hull inflatable and take a fast ride out to a deserted sandbar. You get away from the crowds and can sunbathe or swim as you want. Guests 21 and older can enjoy a sampling of Bahamian rum. This Castaway Cay port excursion is for ages 8 to 70. The cost is $73 per person. 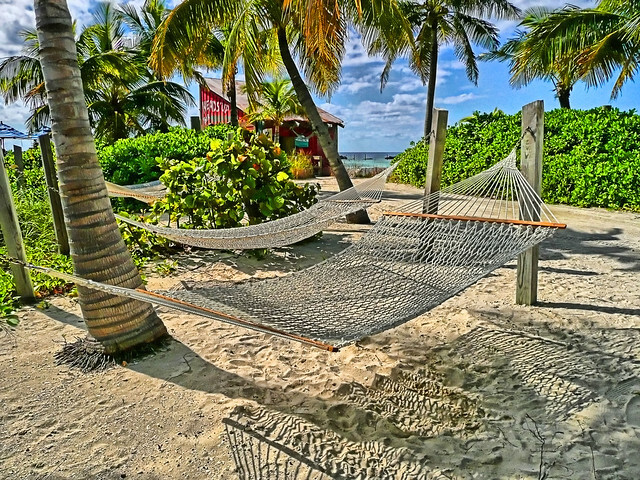 This Castaway Cay package lets you bundle up various options so that you can save some money. It combines snorkel equipment rental, bike rental a float or inner tube and the Castaway Ray Stingray Adventure. The cost for this Castaway Cay adventure is $82 for ages 10 and up and $62 for children aged 5 to 9. This excursion is for adults only. The age range specified is 18 to 70 and the cost is $84. If you enjoy snorkeling and want something more challenging than this could be the Castaway Cay excursion for you. You travel to a snorkel site on a Zodiac Rigid Hull Inflatable. The snorkel site is between 6 to 15 feet deep. You will also get a sample of Bahamian rum after the snorkeling is finished – not good to combine the two activities! You will most likely see more fish than you will closer to the shore. This is the only way to rent a jet ski on Castaway Cay. It is a timed, guided excursion. The cost for 1 hour is $102 and you need to be at least 18 years old to rent a Wave Runner. The guide will take you out open waters before returning to Boat Beach after about 1 hour. Guests must weigh less than 375 pounds. 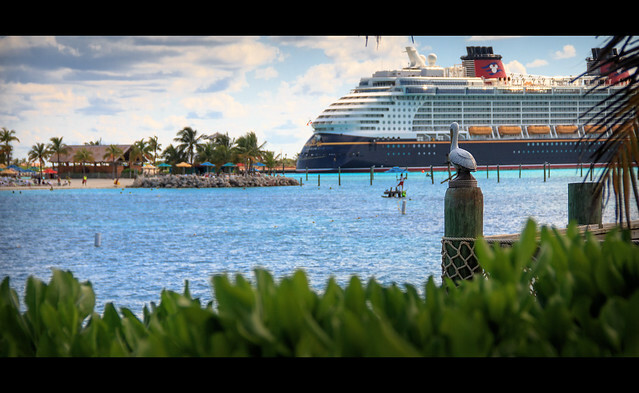 This Castaway Cay excursion will give you a very different view of Disney’s private island! Parasailing is available for anyone aged 8 and up weighing between 90 and 375 pounds. Single rides are not guaranteed and you may be required to ride tandem, depending upon the weather conditions. Your actual air time will last about 5 to 7 minutes. You will reach heights of between 600 to 800 feet. This is certainly a very thrilling experience. The cost is one of the more expensive excursions on Castaway Cay. IT is $104 for all ages 8 and up. This excursion also uses a Zodiac to take guests out into a snorkeling site. All equipment is included and you will spend about 90 minutes of actual snorkeling time. There is a snack and beverage provided on your way back to Castaway Cay. The cost of this Castaway Cay Snorkelling Adventure is $115 for adults and $103 for ages 6 to 9. If fishing is your thing you may want to think about this Castaway Cay excursion. The adventure lasts about 3 hours. You will join up to 8 other guests on your custom boat. All equipment is included. This is a catch and release fishing excursion. With this excursion you fish in the backwaters of Castaway Cay. The cost is $164 for this 3 hour excursion. You need to be at least 8 to participate. This is for anyone aged 8 and up who wants to ride a Wave Runner. This is for two people and you must share your Wave Runner. You do have to be 18 to drive, but anyone aged 8 and up can be a passenger. If you prefer fly fishing you can take this Castaway Cay excursion. At $229 for anyone aged 8 to 70, this is the most expensive of all of the Castaway Cay port adventures. You will be taken to a local flats fishing area. You may even catch a barracuda. As with all of the Disney Castaway Cay fishing experiences, all equipment is provided and it is catch and release. You will be able to book most Castaway Cay Adventures and Excursions prior to your cruise. You can do this online. Also when you board the ships you can go to the Port Adventures Desk. All excursions are subject to availability. Some do get booked up well ahead of time so if you know what you want to do be sure to book as soon as you can. 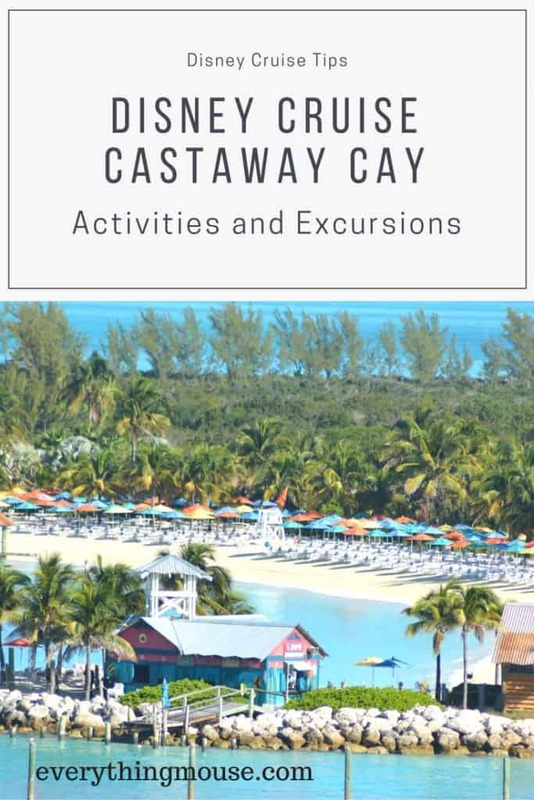 All Disney Castaway Cay Excursions and Activities activities prices are correct as at October 2018. Cancellations are fully refunded if they are made up to 3 days prior to your cruise departure date. Which Disney Castaway Cay Excursions and Activities do you want to experience?